This is from a swap from earlier this year. I was so happy when Mateja offered to send me the Slovenian Year of the Sheep/Goat stamp. 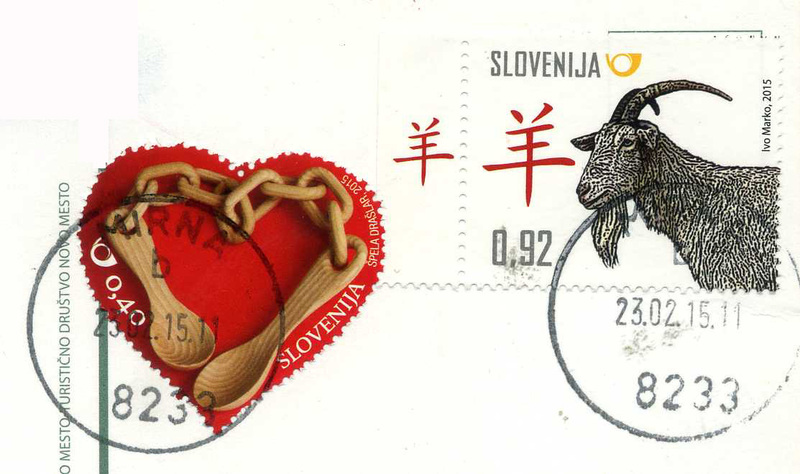 :) I do still miss quite a few countries in my Year of the Sheep stamp collection, but it's pretty decent anyway. Novo Mesto is the city on a bend of the Krka River in the City Municipality of Novo Mesto in southeastern Slovenia, close to the border with Croatia. The town is traditionally considered the economic and cultural centre of the historical Lower Carniola region. 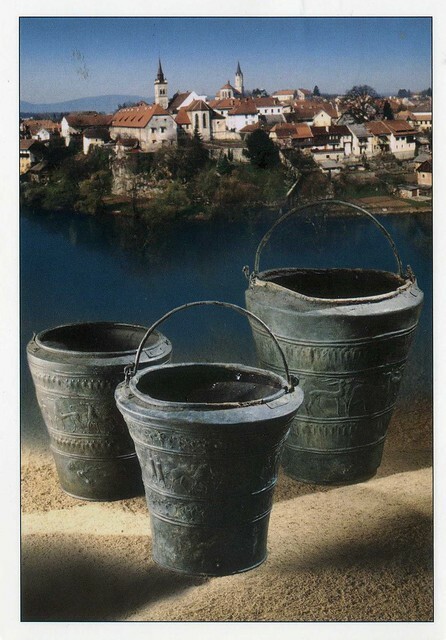 Today, tourism is increasing in Slovenia, and Novo Mesto is feeling some of the effects. The Krka Valley is becoming a place for wine enthusiasts who take tours throughout the Lower Carniola region, tasting locally produced Cviček wine, which is produced by blending several different varieties of local wine.